Construction cost overruns due to unexpected site excavation conditions or unnecessarily expensive foundation systems can be avoided with diligent geotechnical engineering. 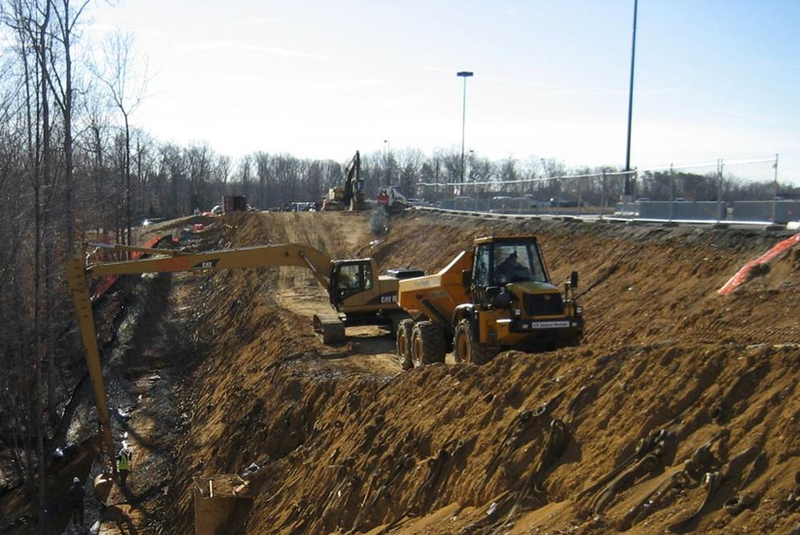 Through decades of experience testing and analyzing soil conditions in the mid-Atlantic region, particularly in Northern Virginia, and the utilization of specialized technology and equipment, WDP’s geotechnical engineering professionals have consistently helped our clients save money. Unlike our competition, WDP’s senior geotechnical engineers are on-site with the drill rig during field exploration. Should soil conditions indicate the need for more information our engineers can direct additional field exploration during one mobilization. This is valuable, given the widely ranging subsurface conditions within small areas in this region and the chronic presence of unsuitable soils near existing construction. WDP’s geotechnical engineers translate this wealth of information into cost-saving approaches to site utilization, structural foundation systems, and bid document quantities for excavation, dewatering, sheeting and shoring. Using the same investigative and engineering analysis skills, WDP provides forensic geotechnical services to investigate and resolve problems with existing construction, such as foundation settlement, retaining wall and/or slope failure, problem soils, and pavement failure. Is your building showing signs of settlement? Is your slope or retaining wall failing? Have your past projects been plagued with site cost overruns? "have consistently been timely and within budget to allow the overall design and construction of projects to keep on schedule..."
"Their quality of work has been consistently top notch..."